I am loving how this turned out. Anybody else reminded of the Looney Toons cartoon starring Bugs Bunny and Gossamer where Bugs pretends to be a hairdresser? Nothing much to tell on this card. 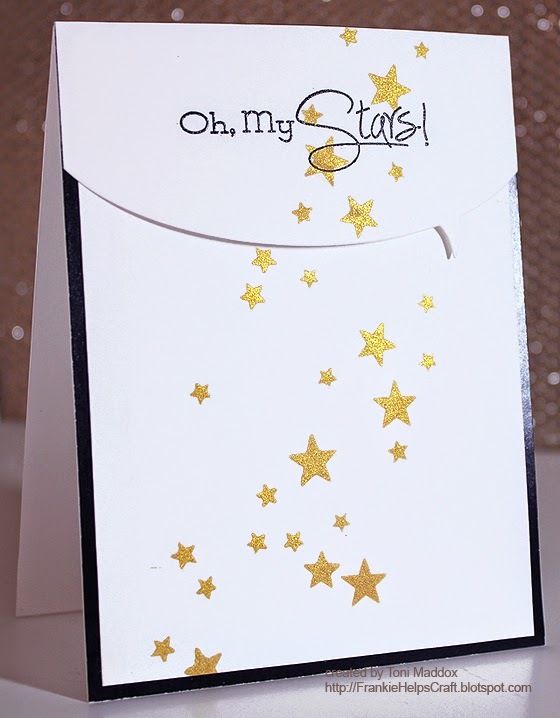 I sponged the stars using a fab gold pigment ink, die cut the speech bubble (cannot get enough of this new die at the moment--working on another card idea using it and crossing my fingers it turns out), added the sentiment then sponged the stars on the speech bubble (because it hadn't occurred to me to extend the stars onto the speech bubble until afterwards--wasn't a problem at all). Here's another pic so you can see how I curved out the speech bubble. I used a double stack of foam tape just down the middle of the diecut then used Glossy Accents to glue down the ends for that effect. I cannot believe I made this. For my stepson's birthday tomorrow no less. But he will love it. I found a pattern here and got the idea from Louise at the Male Room. This baby card is for a colleague from Uganda whose wife just had the cutest baby girl. 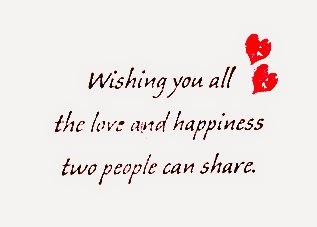 Bright happy card for a bright happy couple! 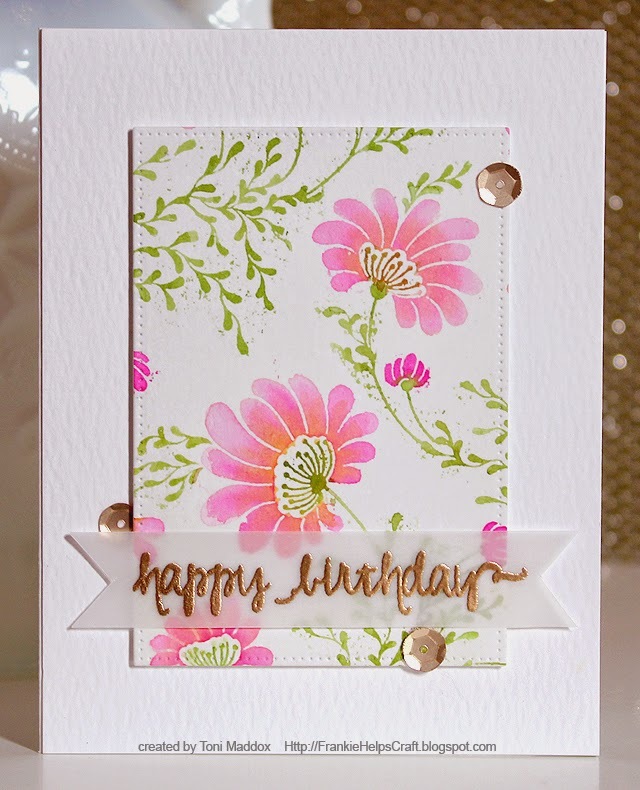 While I was visiting the CASE Study 4th anniversary 3rd week blog hop, I was really struck by Aga's card that Julie Ebersole had CASed. I just kept coming back to it over the last few days which is a sure sign I should make one of my own, huh? 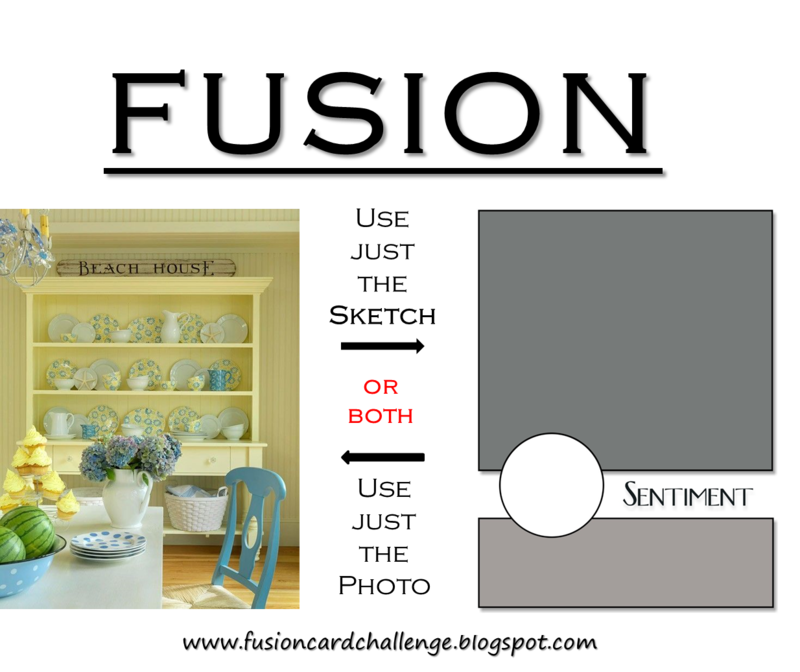 I decided to mix it up a very tiny bit by adding gray for the sentiment. Otherwise, I stuck pretty close to Aga's--bold floral, simple sentiment, scattering of bling and random splotches of color. If you look closely, you'll see that the Gansai Tambi watercolor is shiny too; I just dabbed some water into the pan and used it in a very undiluted state. I've found that GT's remain shiny when applied thickly like that. I'm including a pic of Frankie today. 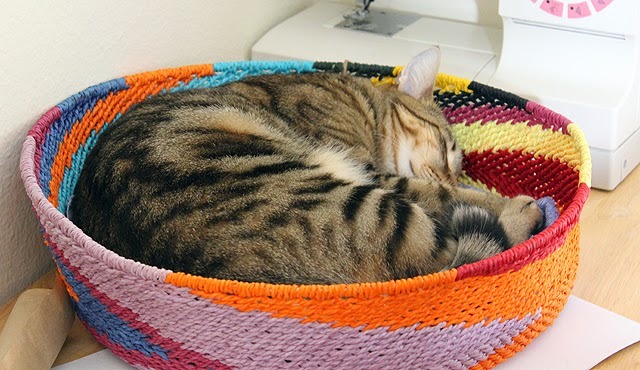 He's sleeping in a cool basket made of paper that I picked up at a charity yard sale. I just threw a towel in the bottom and now it's his favorite place to craft (okay, mainly sleep but it allows me to craft so win-win). 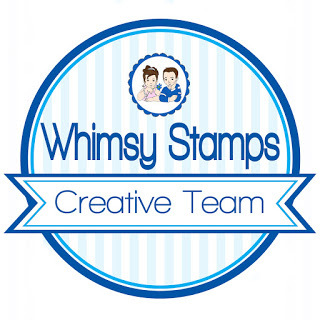 I got a fab new background stamp from Penny Black recently. 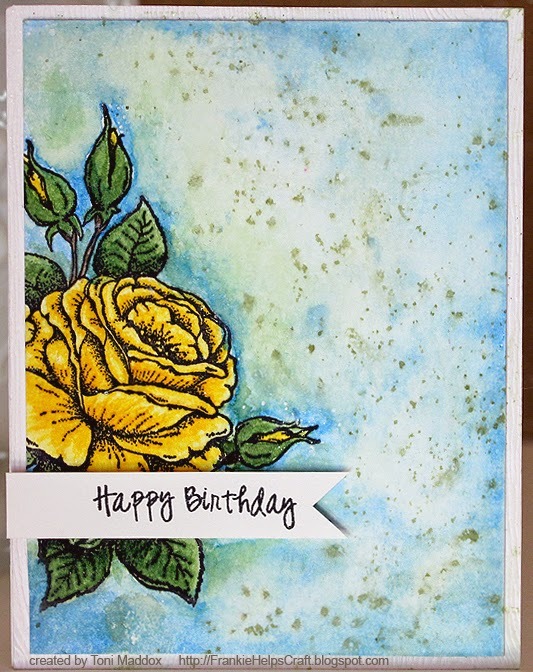 Rather than using the stamp as is with the floral bits as the parts that wouldn't ink up, I used Versamark and clear embossing powder to stamp it, watercolored the flowers and greenery, then ironed off the embossing. I have finally achieved presentable no-line watercoloring!! Mwahaha! I diecut the resulting background panel using stitched rectangle die which I mounted with foam tape. I used a double layer of vellum so it would be easier to read. I also curved out the banner a bit when I glued it down on the ends but that effect went away overnight. Odd. Finally, I scattered some gold sequins. 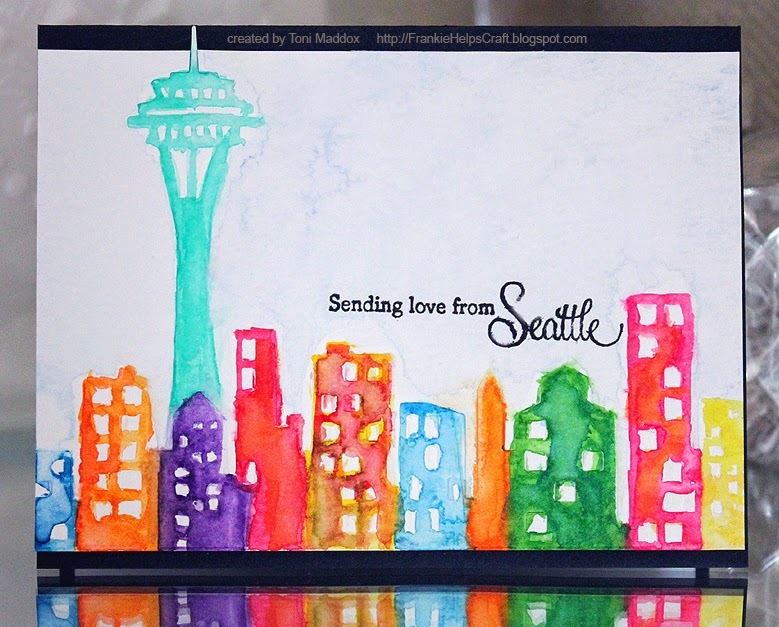 I immediately thought of the Seattle skyline when I saw Jennifer Rzasa's card for the CASE Study 4th Anniversary blog hop and I then knew what to do with the wedding card I had been asked to make for someone who had just gotten married in the UK--colorful love from Seattle! This time I used Gansai Tambi watercolors which can be made extremely bright by using less water or very subtle by adding lots of water as with the sky background. Hard to capture on film but the sky's quite lovely with lots of variation--more like a true Seattle sky. I also moved the sentiment closer to the skyline; I quite prefer this location. Just like our city, your eye is immediately drawn to the Space Needle and then you take a look around at the other color elements here. Fun Fact: We here in Seattle buy the most sunglasses per capita than any other US city. I kid you not. 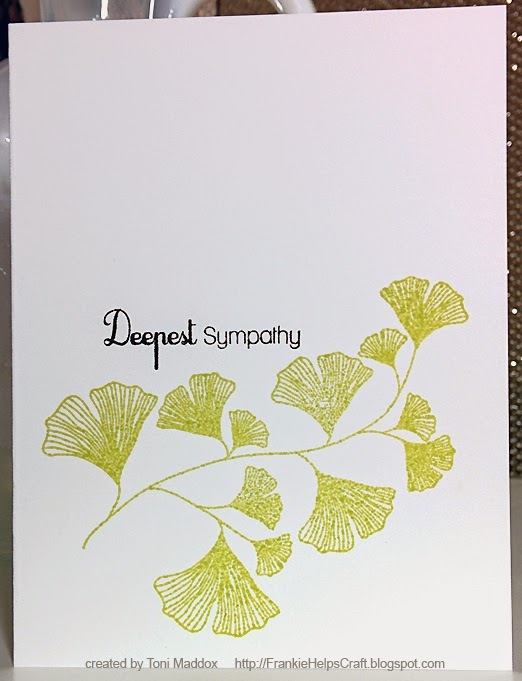 Can you believe I have needed 3 sympathy cards in the last 2 weeks? All elderly parents of colleagues. Sigh. I wanted to go very simple and soothing with this one. My colleague is from Norway and very down to Earth so I think the card fits him. 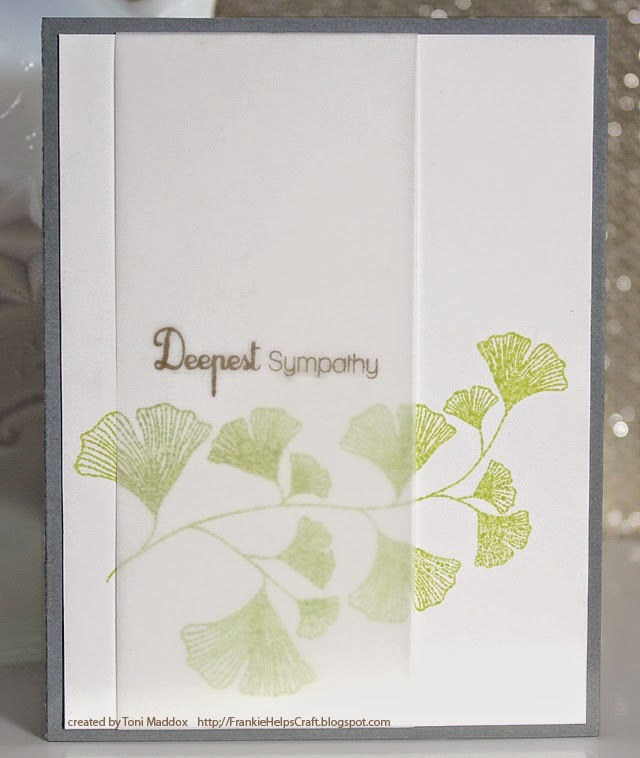 I was originally going to stamp the sentiment without the vellum but I wanted to dress the card up a bit. I taped the vellum down from the back side then stamped the sentiment. I then mounted the lot to hide the tape. 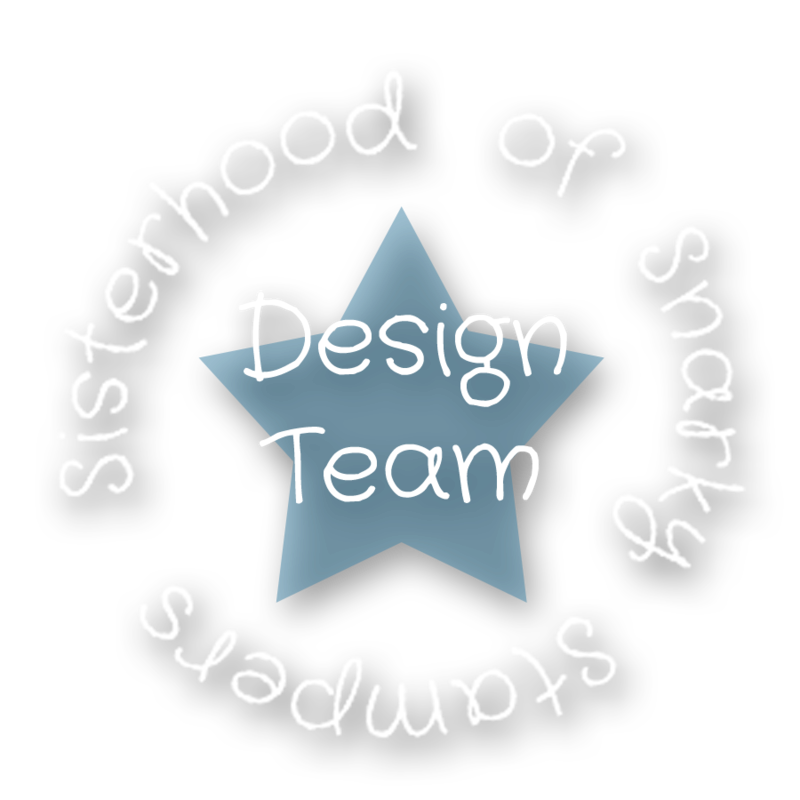 I also did a one layer version during the design process. Which do you prefer? Cuteness of the day: Frankie is sleeping on my desk and snoring ever so gently. Awww. 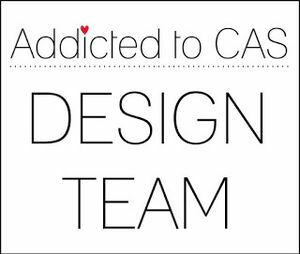 CASE Study is having a blog hop sort of thing where you can visit the blogs they've listed and then choose the card you want to CASE from there. Cool idea, huh? 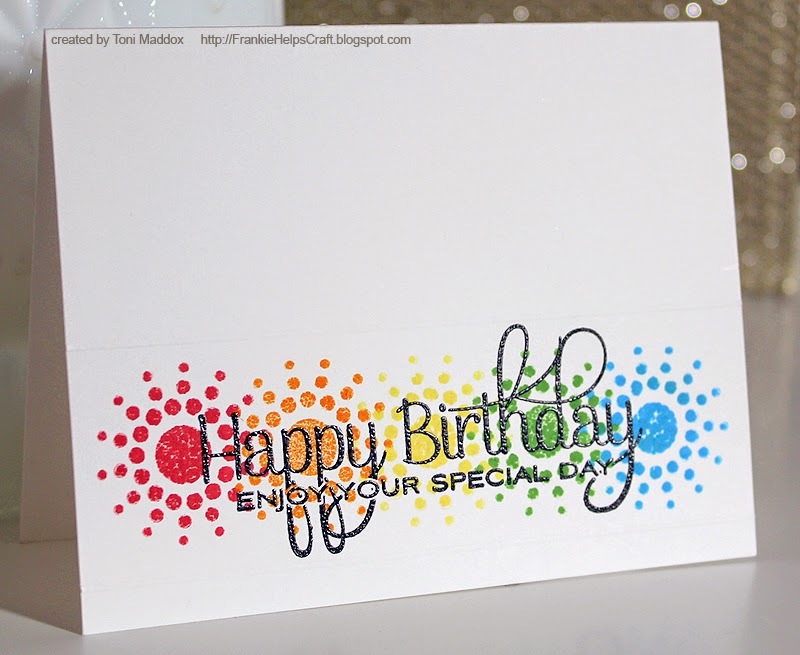 I really liked the card by Laura Bassen so I took from it the rainbow, graphic stamp and sentiment stamped over the lot. On its side, cuz that's how I roll. LOL. 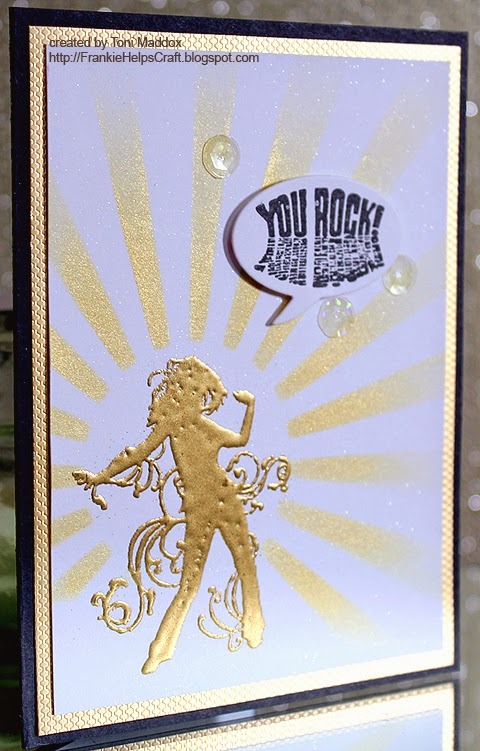 I embossed the sentiment for added pizzazz and scored above and below to anchor it. Looks a bit like fireworks, sparklers, candle flames, Spirograph. Fun! 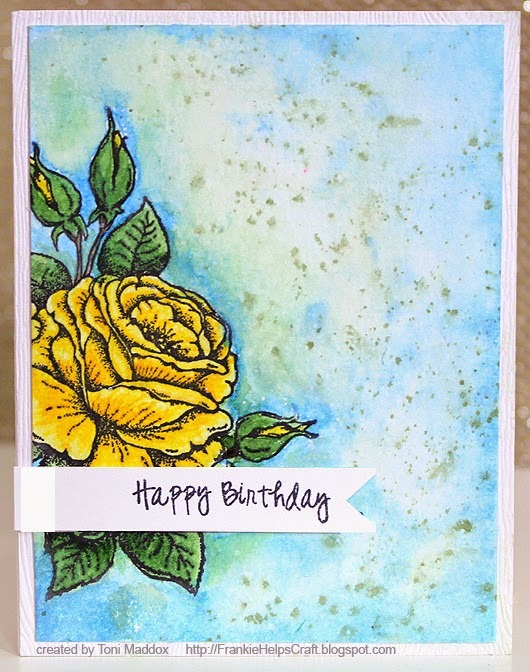 I've been toying with this design for a while now--I'm absolutely obsessed with yellow roses lately since I pass a gorgeous rose bush with amazingly fragrant yellow blooms on my way to the parking garage after work. It's not quite what I had in my mind's eye but it'll do, pig, it'll do. So far my favorite technique with the Gansai Tambi watercolors is doing wet on dry to create depth of color. The background was a happy accident. I was testing the various blues and dropped my brush laden with a deep blue on my card. Argh! I had to mush on so washed the entire background with the blue (similar to the lower left corner). In my mind I'd already ruined the card so I decided to try to super saturate the blue area and lift off the blue with a paper towel. I love how that turned out--dreamy. 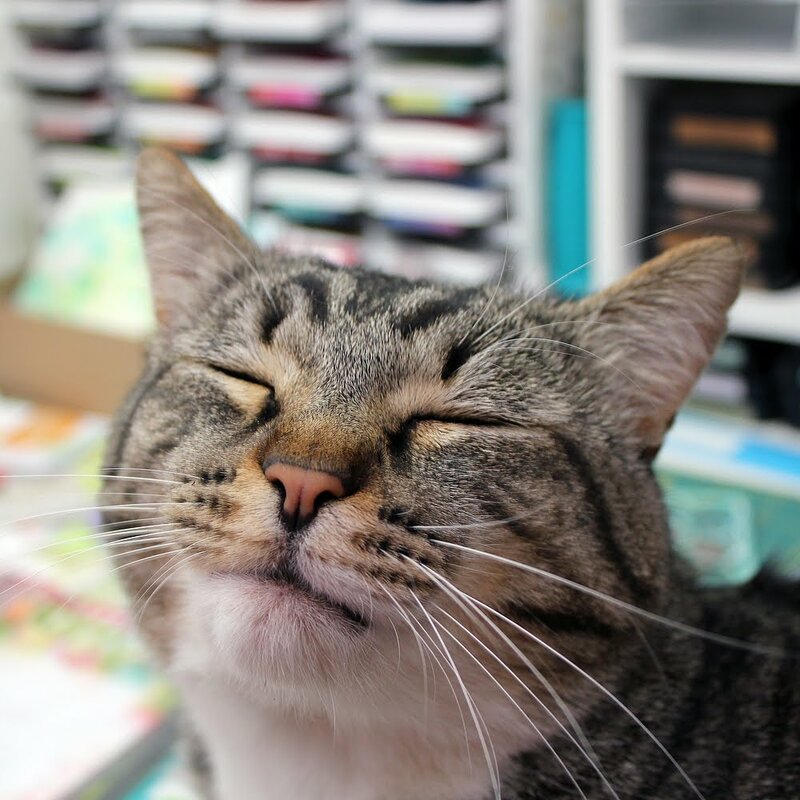 I didn't think I was going to get any crafting time in this weekend--what a busy one! I managed to squeeze in time to play along at CASology since there were so many possibilities. 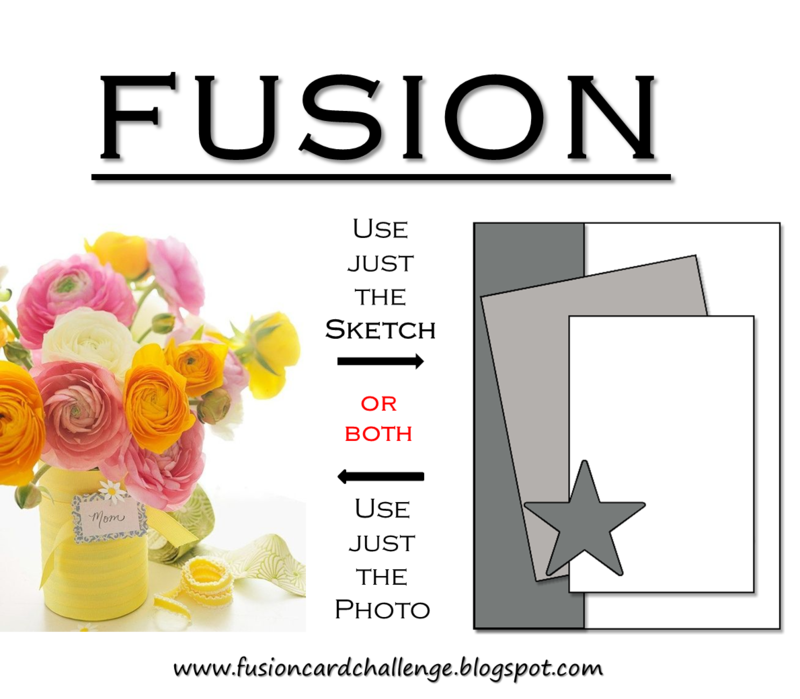 I paired that with the ATC Gold challenge and use a cool new comic book inspired stamp set. 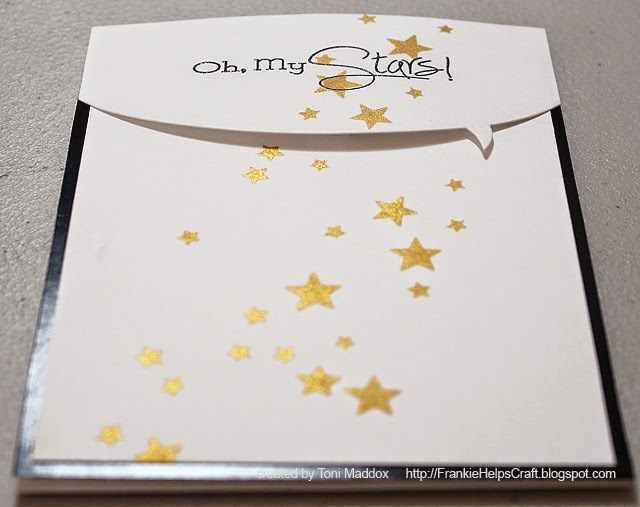 First, I spritzed the cardstock with Shimmer Mist. I then stamped the image in VersaMark then embossed in gold. I kept going with the gold and sponged gold pigment ink using a sunburst die I had cut using the Cameo. The sentiment fit perfectly within the speech bubble die. I added the sequins for just a little extra bling--they're nearly transparent with gold flakes And finally I mounted on a gold cardstock that reminds me of snakeskin and again on black. Glam sparkles make me happy! 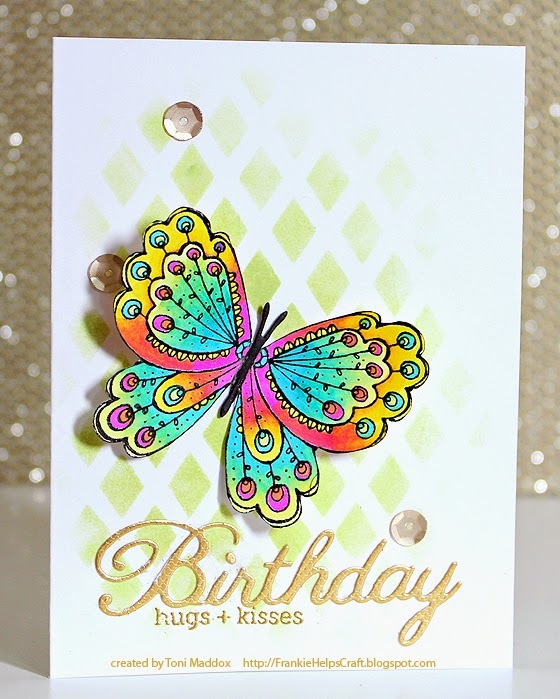 I am loving this bright, happy, summery butterfly. 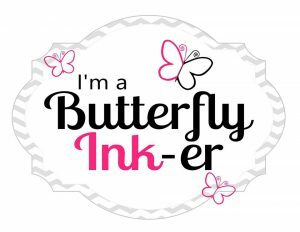 So many challenges have been about butterflies recently that next thing you know, I've got butterflies on the brain and ink on my fingers. This card is for the mother of an Indian woman I know so I tried to pull in the colors and a touch of the exotic that I think of with that culture. I used 4 colors of Spectrum Noirs to create all those variations by starting with a color on one side then another color on the other and overlapping them in the middle. 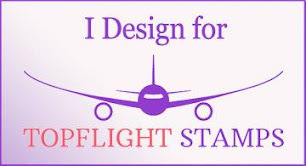 I fussy cut the image out which with this stamp is so easy to do--this coming from someone who hates fussiness. 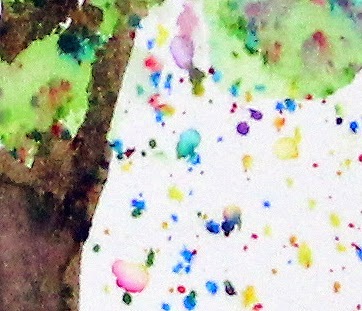 I sponged the background really quickly, fading out at the edges like I like. 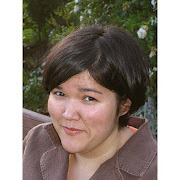 I am still so loving Chubby Chums (I'm not fat--I'm big-boned!). These cards are going to two sisters as they head back to school so I wanted them to be alike enough to reduce competition but different enough to be uniquely her own. For each card I used painter's tape to create a frame before sponging. For the hills I cut a curve in a piece of scrap and sponged away. Next, I took a Spellbinders scalloped circle die and cut out a make shift cloud mask to sponge the clouds. 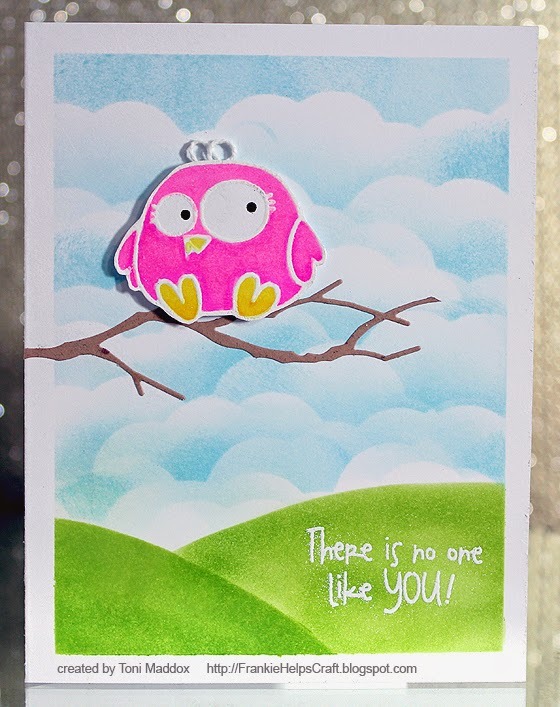 For the bird card, I wanted a very fresh, clean and girly look so I chose to emboss the bird and Hero Arts sentiment in white. I was very pleased the sentiment remained easy to read. I colored the bird in Spectrum Noirs and fussy cut it out, lopping off the bow on its head and using twine for that instead. I then mounted the bird on a branch cut out of scrap. 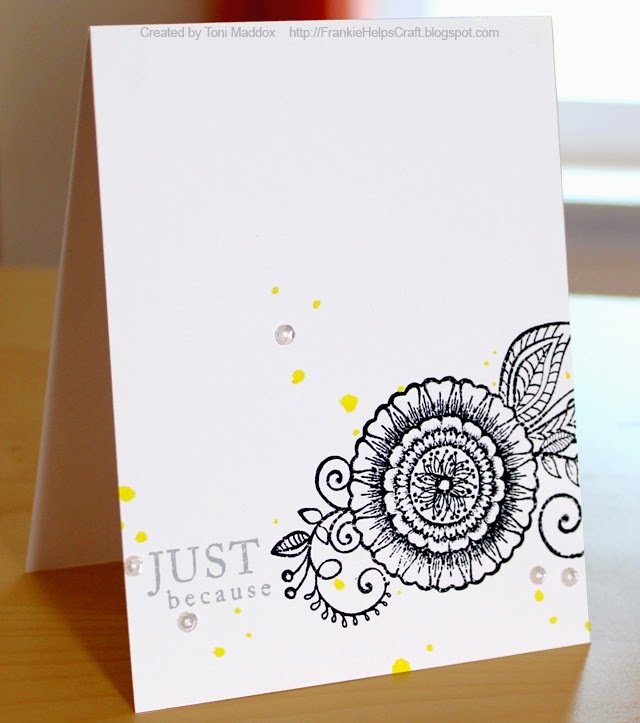 I wanted an edgier look for the dog card so used Versafine Onyx Black and clear embossing powder for the dog. I then colored him in a bright purple and gave him some brindling with white speckles. I wanted the sentiment to pop too so used a speech bubble. It's time for another fun challenge over at House of Cards. This time we ask you to use a sketch that you can flip this way or that if you like. Mix it up and come join us! 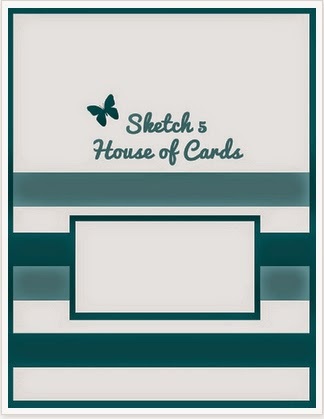 For my card, I immediately thought of a fence when I saw the horizontal bars on the sketch. 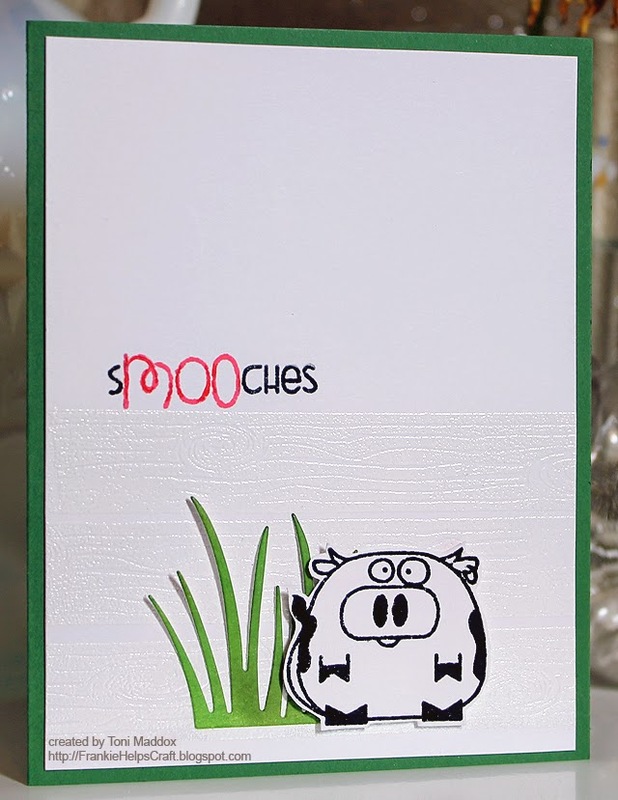 I tried a couple of browns but then my cow seemed very color lonely so I embossed the wood border stamp in white instead. Let's pretend the fence was painted yesterday . . . in semi-gloss. LOL. 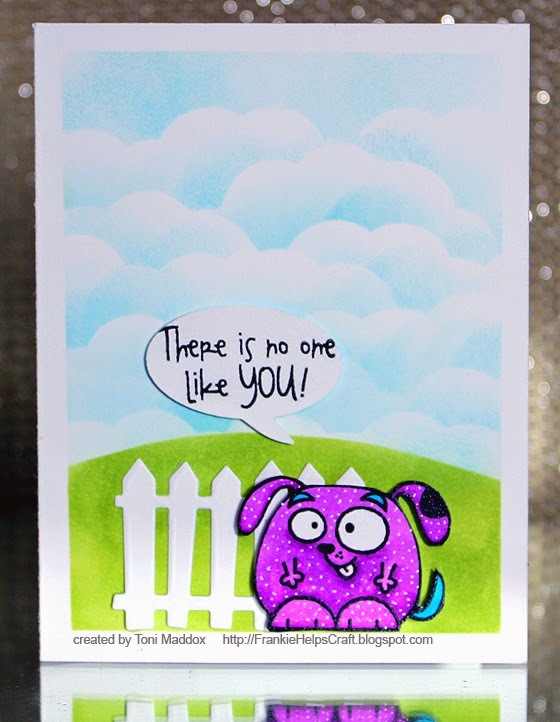 I sponged a scrap of cardstock with two shades of green and diecut the grass so that the eye would be drawn back up to that adorable sentiment (remarkably easy to ink it up in two colors btw). I finally fussy cut the cow and mounted her on foam tape. For this wedding card I wanted to go gender-neutral, modern and yet traditional at the same time for a couple who are getting married next week. 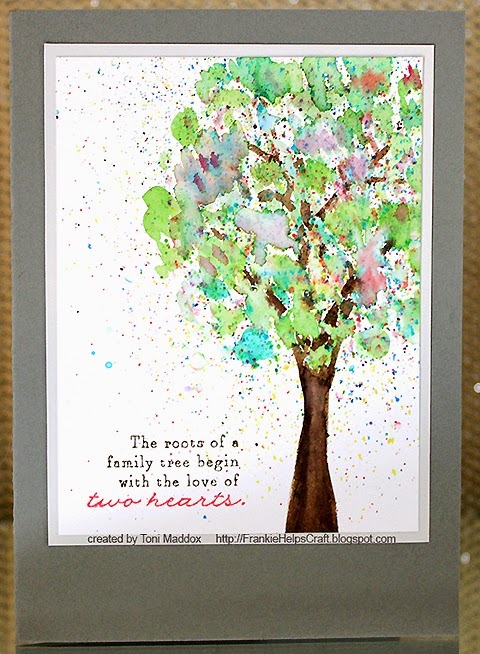 I spattered a variety of Distress Inks in the general shape of a tree top, used a bit of ink and clear water to create the idea of leaves then added a few limbs and the trunk. 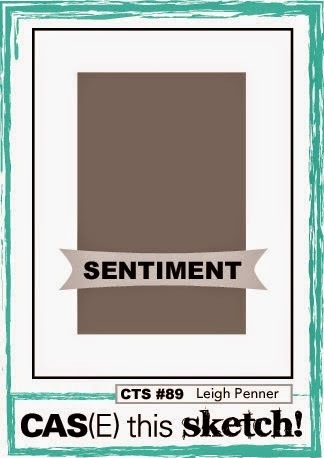 The sentiment I stamped in two shades of Memento. I then mounted the image on a pale gray cardstock and mounted that on a darker gray-green A7 cardstock which is a style of photo matting that I love.